A shapely looking glass and a work of art. Frame crafted from hand-forged metal; engineered wood backing. Lightly textured finish features burnished edges with golden highlights. Engineered wood backing. Arrives ready to hang, as shown. 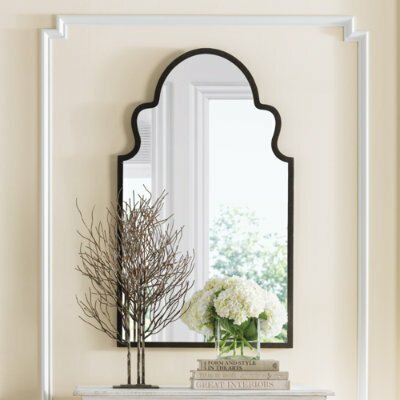 Add extra light to any room with our arched mirror that couples the shape of a Moroccan doorway with a rustic, hand-forged metal frame. . . . . . If you have any questions about this product by Grandin Road, contact us by completing and submitting the form below. If you are looking for a specif part number, please include it with your message.